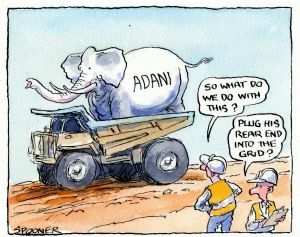 Adani is not going to happen; the construction, that is, of the leviathan Carmichael mine, the world’s largest thermal coal mine in the hinterland of the Great Barrier Reef. Much is the wailing and gnashing of teeth at the move by the Queensland government to approve the project but this approval is entirely political. The evidence is compelling. Carmichael is the whitest of white elephants. It is all about the appearance of commitment to jobs, jobs that will never occur unless the coal price doubles, and it is about the government not getting bashed up by the opposition for being anti-jobs and abandoning its election commitments. 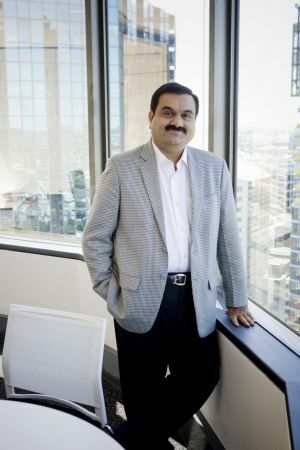 Even Adani is coy. No sooner had the Indian conglomerate been granted approval than it deferred the project for another year. Buried in the detail of its press release was this: “opportunity for final investment decision and construction in 2017”. Reaching “final investment decision” would require willing financiers with a cool $10 billion just for Phase One. But Adani’s bankers have long since fled the scene. There would be no taxpayer support nor “dredging [of the reef] at Abbot Point [port] until Adani demonstrates financial closure,” said Resources Minister Anthony Lynham. Which brings us to the real world, financial closure; not only is the project “bankerless” but, apart from the Australian government, which is “energy-policyless”, the real world has moved on, quickly. The head of the world’s biggest power provider, chairman Liu Zhenya of China’s State Grid Corporation, recently told a US energy conference the ramp-up of renewable energy and ongoing integration of wind and solar power projects into the grid were gathering pace. “A fundamental solution [to address power needs and climate change] is to accelerate clean energy,” Liu told his audience of energy executives. The eventual aim was “replacing coal and oil”. The rapid build-up of renewables can be deployed quickly and economically. “Clean energy is competitive,” said Lui. “The only hurdle to overcome is mindset. There’s no technical challenge at all”. This, and equally enlightened energy policy in India, lies in stark relief to the utterances of the Australian resources-led regime, whose unwavering commitment to new fossil-fuel projects is quite bizarre, as though it is wilfully ignoring global realities, even economic realities, by flooding an already depressed market with new sources of supply. China Shenhua Energy Co, the world’s second-largest coal miner, declared last week it had delayed construction on more than 80 per cent of its coal-fired plants. Its 2015 annual report cites a 55 per cent decline in net profit to $US2.7 billion on a 30 per cent year-on-year decline in revenue. Domestic coal consumption in China fell 5 per cent in 2015, said Shenhua, whose own coal sales were down 18 per cent, and it forecasts a further 8.4 per cent decline in its Chinese coal sales volumes this year. Australia is now competing against Shenhua, as an exporter. Its Watermark project in NSW, apparently still in train, is yet to win board approval and according to the Institute for Energy Economic and Financial Analysis (IEEFA), a green think-tank whose market forecasts have been spot on, Watermark is “inconsistent with Shenhua’s rapidly changing strategic direction”. Then there’s China Coal Energy Co, which recently handed down its 2015 results: a net loss of $US436 million on a 16 per cent year-on-year fall in revenue. 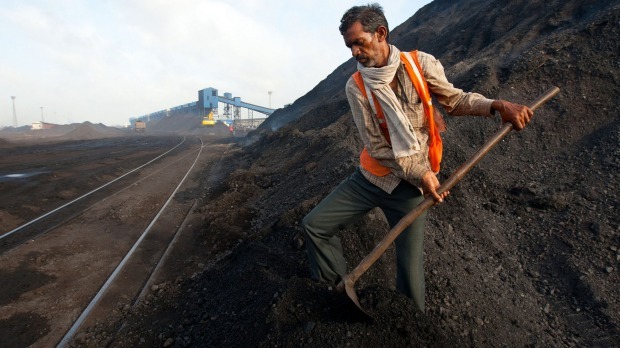 Average coal prices received dropped 20 per cent and coal sales dropped 12 per cent. The outlook for 2016 is grim; management forecasts a further 16 per cent decline in revenues on a 16 per cent reduction in coal volumes. China Coal reported the central government in Beijing was “speeding up the supply-side structural reform so as to proactively dissolve overcapacity of coal … to exit around 500Mt of production capacity and to reduce and reorganise around 500Mt through to three to five years”. Even oil industry bible Platts is referring to the “silent revolution” of China’s electricity markets and drawing the increasingly obvious conclusion for thermal coal. While wind and solar are playing a part, the past five years’ build of 100GW of new hydro has had a massive hand in reducing China’s thermal coal consumption. The evidence is compelling. Carmichael is the whitest of white elephants. Australia’s seaborne thermal coal sector is in serious structural decline. This is not cyclical. Of thermal coal mines, BHP’s Mt Arthur is perhaps the lowest-cost, longest-life and highest-quality producer. BHP lost money in NSW coal last year. Adani, on the other hand, will be high cost, the coal is low quality and the capital is not yet sunk, or even raised. Coal price $US50 a tonne, transport costs $US25/t. It’s not going to happen.